All of the materials we use are environmentally inert, cost-effective, and efficient. The products we use cure quickly, so our customers can use the treated area sooner; often as fast as 30 minutes after treatment. We work quickly to minimise downtime, keeping our customers up and running even while repair works are being carried out. Safe for use in coal mines, phenolic resin is a low-pressure expansion grout that fills small and large voids. Phenolic resins are extremely versatile polymers. Originally called Bakelite, phenolic resins are found in many industrial products and everyday items like billiard balls, circuit boards, and countertops. Our phenolic resin injection method produces low-temperature, high-strength filling of both small and large cavities. The phenolic resin we use is termed ‘ultra-safe’ with respect to use in coal mines; in fact, it was developed specifically for underground coal mining applications. It is fully LOBA-compliant. It has a very low exothermic reaction temperature of less than 40-degrees Celsius. It also has excellent strata penetration and gives an exceptional bond strength. Our phenolic resin is a two-component, low-pressure resin system, mixed at a 4:1 ratio. We use the same equipment for phenolic injections for crevices and small voids, as well as for large cavity-filling work in coalmines. This helps us save time and prevents significant downtime for our customers. 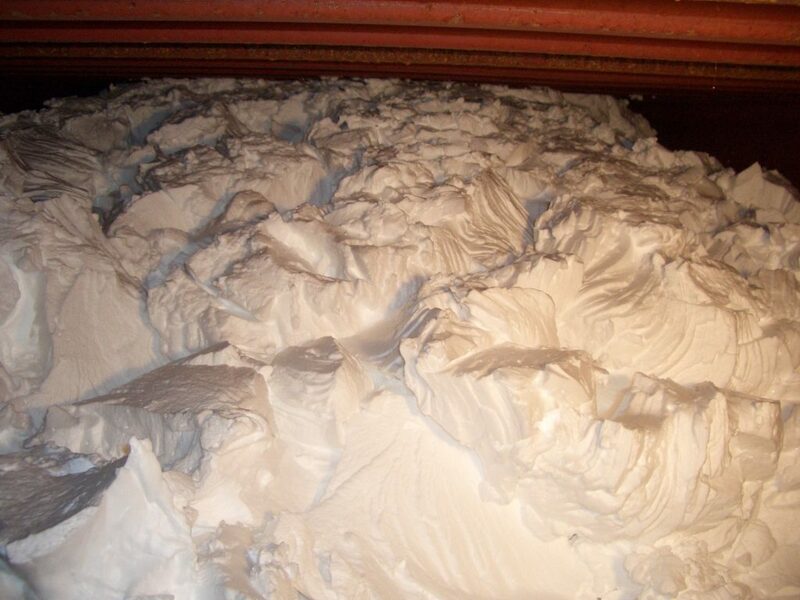 For void filling and strata binding, we use low and medium-pressure urea silicate resin, which is injected as dynamic infiltration and expansion grouting. Urea, a natural waste product of many mammals and some fish, was the first natural compound to be artificially synthesised using inorganic compounds. We use modified urea silicate high-strength injection resins for infiltration and expansion grouting for void filling and strata binding. This resin is suitable for a wide variety of uses and can penetrate cracks as small as 0.24mm. 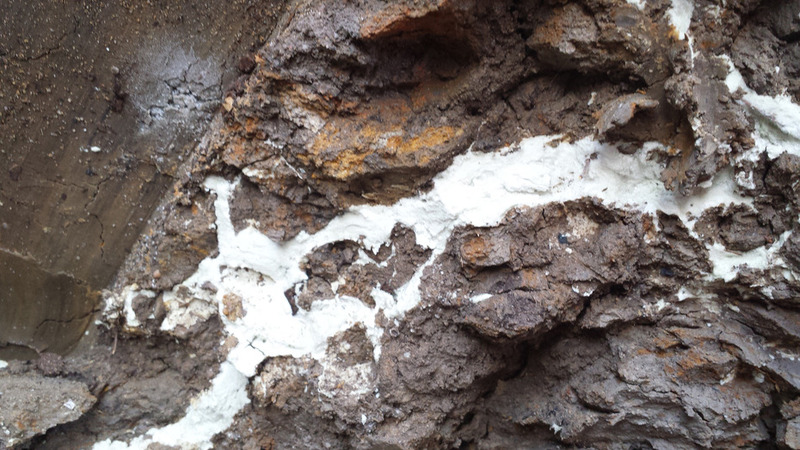 When pumped under pressure, urea silicate resin can migrate up to 15 metres and it adheres strongly to wet substances. We can inject urea silicate resin through any style of bore hole packer or bolt, and it has a fast reaction time of between 30 and 80 seconds, even under water. Its low exothermic temperatures mean it is safe in volatile environments. It is also fire-resistant and suitable for both low- and medium-pressure systems. Like all of Mainmark’s materials, urea silicate resin is both environmentally inert and user friendly. 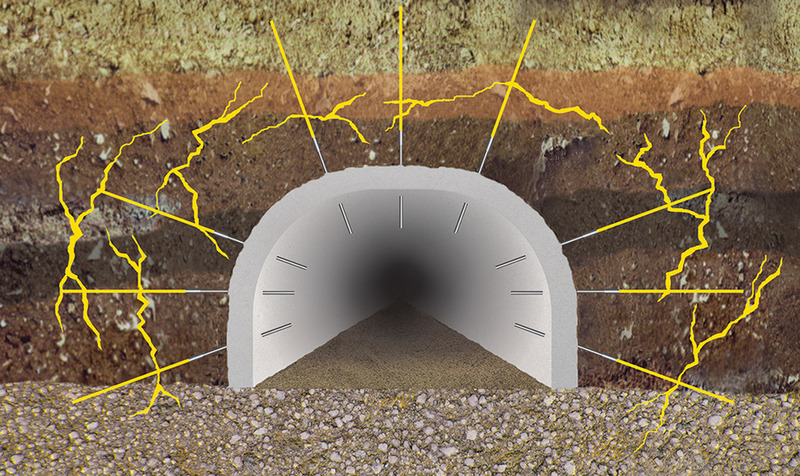 Low-pressure amino-plastic resin fills large and small voids, including annular spaces in pipelines. We use an amino-plastic material called Benefil. It is a multi-purpose, super-lightweight or filler grout. This makes it a very economical void-fill material. Benefil is easy to apply: it can be pumped, poured, or injected into voids, holes, and interstitial spaces. It can also be distributed downwards, upwards, or laterally and can also be pumped over very long distances, making site access problems a thing of the past. Benefil is environment inert and even absorbs residual hydrocarbons. While not intended to withstand point-loading or abrasion, Benefil can be produced in various densities to achieve compressive strength in accordance with load requirements. Amino-plastic resins are environmentally inert and are bio-degradable in sunlight. Benefil is used extensively in horticultural and landscaping applications. Benefil is also long-lasting. In typical engineering applications it does not decompose and it resists hydrocarbons, solvents, and other chemicals, for a life expectancy of up to 150 years. The product has been used in Europe for more than 30 years.